The Invacare Bariatric Adult Walker provides a wide and deep frame that can support an individual up to 700 lbs. The dual-release buttons provide both visual and audible “locked” cues for the user. 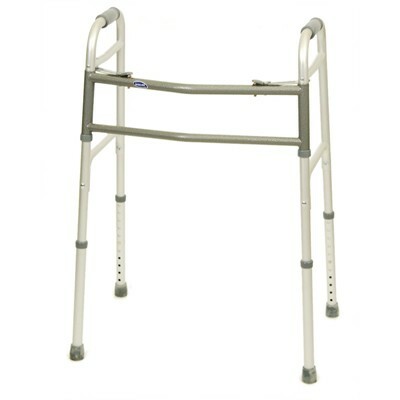 The durable aluminum frame provides maximum stability for consumers and the legs variable height adjustments. Deep and wide frame for larger patients. Generous patient height range of 5’3″ to 6’10”. Note: These are just client height approximations. Walker comes equipped with dual-release buttons that are easy to operate and provide audible locking cues. Lightweight stable aluminum frame with double cross bracing. Wheel Kit Model #6372 can be added. Product Weight Capacity: 700 lbs.